Another week, another helping of digital delights from Nintendo. If you're in Europe and you want to know exactly what titles you can download to your Wii U and 3DS this week, then you've certainly come to the right place. Year Walk (Simogo, £6.29 / €6.99) - Grim tales, horrifying creatures and cryptic enigmas await in the dark woods of 19th century Sweden. Find out more about this unique game in our interview with Simogo and Dakko Dakko while we polish off our review. Mario vs. Donkey Kong (Nintendo, £6.29 / €6.99) - Mario vs. Donkey Kong pits the Nintendo mascot against his old adversary in a unique twist on the platform genre that made them famous. We'll take a look at this Game Boy Advance classic again to see if it's still just as much fun on the Wii U, until then you can check out our Mario vs. Donkey Kong 3DS eShop review. Mario vs. Donkey Kong 2: March of the Minis (Nintendo, £8.99 / €9.99) - Take control of the Mini Marios and rescue Pauline from a jealous Donkey Kong. In the first Mario vs. Donkey Kong, Mario was trying to find all the Mini Marios, but this time it's up to them to save the day. Use the touch screen to guide Mini Marios through multiple mind-boggling, obstacle-filled levels to rescue Pauline who was captured once again by Donkey Kong. This is a worthy successor to the GBA original, but one which we have neglected to review! We'll be sure to rectify this over the coming week when we take a look at this again on the Wii U eShop. Tecmo Bowl (TECMO KOEI GAMES, £3.49 / €4.99) - It's 8-bit American Football, which is nice. Not quite the complex, occasionally confusing experience of the modern Madden titles, this has a very limited set of plays — two passing and two running — to deal with. Its simplicity is arguably one of its strengths, and you certainly don't need to be an expert of the sport to enjoy the single player, multiplayer or coaching options. 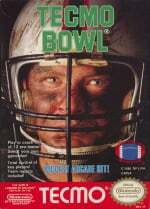 We gave this a recommendation in our 3DS Virtual Console Tecmo Bowl review. Fantasy Pirates - Join in the adventures of the pirate clan in this free demo. Pokémon: Dancing Pikachu! (£2.29 / €2.49) - This fun theme shows a bunch of Pikachu dancing on stage! Scroll the Touch Screen to make them dance and hear their voices. Pokémon: Pikachu's Cry! (£2.29 / €2.49) - This theme is packed with lots of different Pikachu cries that play when starting software, scrolling the Touch Screen and more! Pikachu Set: Dance & Cry (£3.59 / €3.99) - Includes Pokémon: Pikachu's Cry! and Pokémon: Dancing Pikachu! at a reduced price. Pokémon 151: Mewtwo (£1.79 / €1.99) - This theme matches the high-quality designer look of the "Pokémon 151" clothing line, with a few changes. Now including Mew! Fit Music for Wii U (O2 GAMES)- €12.90 / £11.90 until 15/10/2015. Blocky Bot (Mobot Studios) - €1.29 / £0.94 until 01/10/2015. Paper Monsters Recut (Mobot Studios) - €3.19 / £2.69 until 01/10/2015. Luv Me Buddies Wonderland (O2 GAMES) - €12.90 / £11.90 until 15/10/2015. Bombing Bastards (Sanuk Games) - €4.99 / £4.49 until 24/09/2015. Spot The Differences: Party! (Sanuk Games) - €2.99 / £2.69 until 24/09/2015. Another World - 20th Anniversary Edition Wii U & 3DS (Digital Lounge) - €3.19 / £2.87 until 24/09/2015. GLORY OF GENERALS (CIRCLE Ent.) - €6.99 / £5.59 until 08/10/2015. Quell Reflect (CIRCLE Ent.) - €2.99 / £2.39 until 08/10/2015. Swords & Soldiers 3D (CIRCLE Ent.) - €5.19 / £4.19 until 08/10/2015. Fractured Soul (Endgame Studios) - €1.99 / £1.79 until 01/10/2015. Talking Phrasebook - 7 Languages (Sanuk Games) - €2.99 / £2.69 until 24/09/2015. Both Mario vs DK games for me! Wasn't Typoman supposed to be released this week? Mario vs DK and Tecmo Bowl for me. Year Walk is very cool but I have it on IOS. Year Walk and the Mario vs DK games, though I've yet to complete the stock levels in tipping stars. Getting DLC (which isn't on your vote). Don't forget the free Shovel Knight Plague of Shadows DLC! One can never have enough Senran Kagura, so the Hipster pack is mine. The rest doesn't really interest me. They should've had a sale on Tipping Stars alongside the MvsDK games. Year Walk is one of the very best games on an iOS device alongside the likes of Monument Valley and Ridiculous Fishing and is an essential purchase for all Wii U owners. I am surprised that it is only £6.29 after the recent Badlands game being £9.99, which is a little bit too expensive for me to buy a second time. Not a bad week in all honesty! Isn't Shovel Knight: Plague of Shadows coming out this week for Europe as well? Or has there been a change of plans? Fractured Soul really great discount ill have to grab that and Blocky Bot looks like alot of fun especially at half price just 94p. O2 games may aswell put their games on permanent discout. They seem to spend more time at the cheper price than they do at full. @SanderEvers I thought it was more like free DLC but that explains it. Thanks! Just the (free) Plague Knight expansion for the wonderful Shovel Knight for me! "Add-on Content for hipsters" Okay, that description made me chuckle. Nothing interesting for me this week, except the Shovel Knight update. Nothing for me this month. @Grumblevolcano I hope the GBA one makes it to North America this week!! 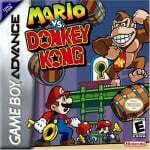 Mario vs Donkey Kong on GBA for me. Own the DS March of the minis one in cartridge form but haven't really got a GBA to play on anymore so couldn't play the GBA one. Looking forward to playing it, already played the DS Mini land Mayhem and that was my first M vs DK game. I can confirm that Mario vs. Donkey Kong on the GBA was one of my all time favourite games actually a few mates would also agree back in the day on that really good design mechanics and fantastic presentation. Personally i play all of my GBA games on my GB Player on my Gamecube and most games actually look ok when blown up to 50" on my Panasonic plasma, i still have most of my cart collection such a quality games library on that handheld its ridiculous. Do someone know if Year Walk will be released with multi langage translation (french) ? Because I tried it on PC but the english was too complex to understand for me. Just Plague Knight for me, it'll keep me busy for a little while. @LunaticPandora I agree with that, at the very least these should a little cheaper..... The price comparison just doesn't work out too well between the new and old versions overall imo!! I've not played one in the series but figured I should start from the first one, good idea people ??? Nothing for me, but at least they got both "Mario vs. DK" games out of the way. Nothing for me this week, but I don't mind since last week was really great. @MikeW Here's an idea. Why not skip the games no one wants and go directly to the games people want? Also, Zero Mission has been out for ages in Europe. Glad we're getting Tecmo Bowl! @Dazza I am not the biggest Pokemon fan, but I am almost certain that Mewtwo was #150, and not #151. If I recall correctly, Mew's clone had the irony of being ahead of him in the Kanto Dex, which had 151 known Pokemon. Hello Nintendo - people still want things for the 3DS - rubbish again this week.here in the UK that is. I still want that top down racer whose name eludes me temporarily. Pretty sad week for Europe. I'm wondering if Natsume is going to bring Gotcha Racing to Europe. Haven't you been stiffed in Europe by Natsume before? Or does it just take a while? That's a game you guys should seriously get and very close to the best deal in the Eshop. Gunman Clive is still the best deal in the Eshop. Has anyone emailed Natsume about Gatcha Racing in Europe? Humble Store for PC has taken my money this last 10 days. Bought shed loads of games. Yay, Mario vs. Donkey Kong finally! Got March of the Minis already on DS cart so I can play that on the 3DS, otherwise I would get that too. Great games, great series for us arcade-puzzlers! Assuming the Dancing pikachu theme is the same one Japan got to coincide with the Pikachu Invasion promotion earlier in the year, I may be swayed towards that. Otherwise, Senran Kagura DLC and the Shovel Knight update are the only things on my list. Isn't Typoman out this week as well? Says the 16th on this site, will be picking up A Year Walk for certain at that price. 3DS e-shop is just sad to watch.The 3DS should be getting at least NES games that the Wii U has been getting with all NES 3D classics getting virtual console releases or miiverse communities.Also no Sonic 2 what is wrong here.Oh wait this is PAL region well this is also for NA. Paper Monsters Recut anyone played this ? Ok, ok Nintendo I get the message. I'll snap up Another World's sale THIS time, but next week! @XyVoX it's rubbish, even at £2.69 you'd be paying it 2 quid more than it's worth. Year Walk's an interesting arrival. I'd love to see more of the artsy iOS stuff on Wii U, like Monument Valley for instance. Why? To see myself beginnings of beautiful worlds of zeroes and ones. It will be a sin if i die tommorow and don't know this. Who would we be without history? Wasn't it Mario's birthday this week? Where's the deals man?!! !